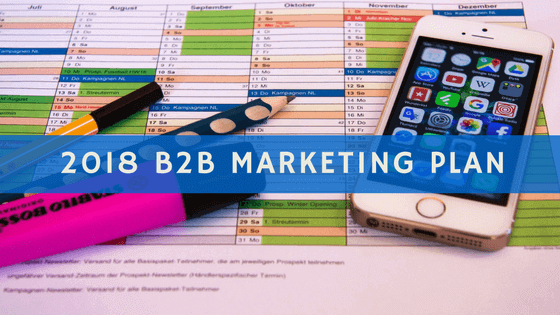 Write a general overview of your B2B company background, current stage and the overall purpose of your marketing plan. 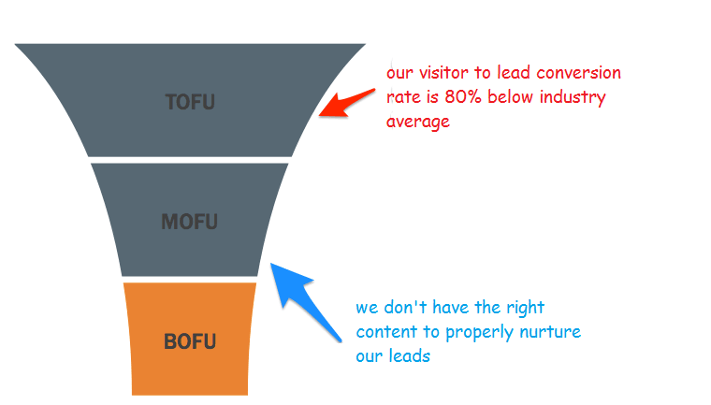 This is the place to identify weak points in your conversion funnel that require curing. In order for your marketing plan to be actionable, it's important to set very clear goals. When reviewing your competitors, you’ll want to look at them strategically and tactically. Pick the competitors to review deliberately. Who are the clear leaders? Can you reverse engineer any of their personas? How do they differ from yours? What needs, pains, or aspirations are they hitting? Who’s struggling (learn from their mistakes) 1? Who does your client consider to be your most direct competitors? Are there any new players or outliers in terms of taking an approach outside the established market? Identify your buyer personas. These are semi-fictional representations of your ideal customers. It's important to understand who you are trying to reach. What are their behavioral patterns? Their demographics? Their goals? 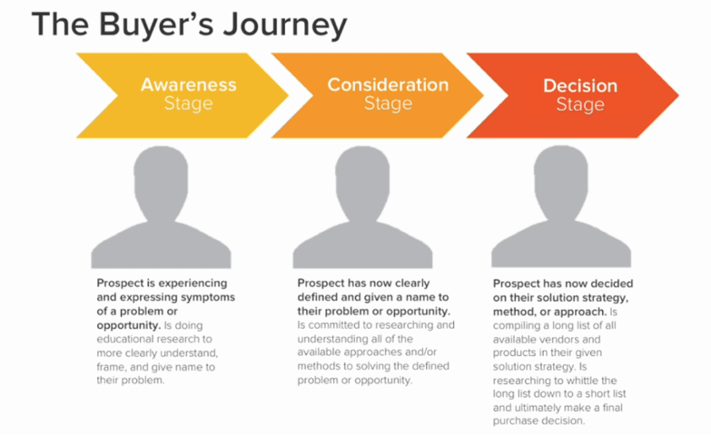 “The buyer’s journey is the active research process a potential buyer goes through leading up to a purchase." Make sure you understand your average customer's buyers journey. Each stage requires specific types of messaging, which helps guide your audience all the way down the marketing funnel. That way you will not make the mistake of trying to sell to your prospects when they're not yet ready and don't trust you. A strong positioning will set you apart from your competitors and help you attract the most relevant customers for your business. What do you help solve? If your team were volunteers and not employees, what are they volunteering for? We (provide this service/value/outcome) for (a specific type of company/industry/market) by (using a specific approach) because (why). How are you currently perceived in the marketplace? A brand story has the magical power of bringing your brand to life, providing it with context and granting your audience something to identify with. Turn you USP into a story people can relate to. B2B isn't about businesses communicating with businesses. It's about humans connecting with humans. How will your website help you achieve your smart goals this year? What needs to change in order for it to generate more growth? Consider the top, middle and bottom of the funnel. 35% of B2B marketers have a documented content strategy. Make sure you do too. In a nutshell, content marketing is the art of communicating with your prospects without selling to them. This part of the plan should focus on the role content distribution will play in building trust, creating lasting relationships with prospects and turning them into customers when they're ready. Social media is crucial for every business’s online success and sales generation. That includes B2B. This part of the plan should detail how you plan on creating and promoting content via social media, engage with prospects and drive more relevant traffic to your website. Remember that building a solid social media presence doesn’t happen overnight and needs time and dedication to bring sustainable results. Craft your strategy, monitor social media activity and constant improve your approach to maximize the results of your investments. With 91% of consumers checking their email daily (ExactTarget) and a marketing ROI of 4,300% (!!) (copyblogger), if you’ve given up on email marketing, Reevaluate your strategy for 2018. This part of the plan should focus on how you are going to make the most of email marketing in order to improve your overall performance. This section should map out how your SEO efforts will help you reach your organic search goals. Detail which keywords you'd like to target this year, and keep in mind an end goal of converting relevant visitors to leads. 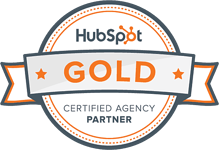 This is also the place to detail new opportunities and the current status of your website's health and back-links profile. The issue a lot of B2B marketers have is the simple lack of analytic ability in its marketing team, e.g. they don't have a clear definition of what metrics or parameters to document. This section should detail how you plan on measuring your efforts. Define clear definitions of ROI and what metrics to take into account. Recap your overall plan and summarize the important actionable aspects of each section. Your yearly marketing plan should be SMART goal oriented. Be sure to research your competition, understand your target market and buyers journey, and make sure you have a measurable roadmap planned ahead. In order to properly plan your strategy, download our FREE yearly marketing planning template.